Sometimes, people snore for years and just accept it as an inevitability – something that can’t be fixed. When you understand your triggers with SnoreLab, a lot of snoring can be remedied through some very basic but important changes. We always like to hear from users who are spurred on to make positive changes when they see and hear their SnoreLab results. Great App. I have been using it for the past five days. I have seen and heard my results – horrified! My husband has refused to sleep in same room as me for the past five years! We have settled into a routine but it’s lonely. My readings started at 124, and last night it reached 199 with snoring at the epic level for 70% of the time that I am asleep. At some point, I am quiet for 30 minutes but then go straight back to epic snoring! Help – is this dangerous? People often ask us if they should be worried about a high Snore Score. Our reply to them and Jenny is to ask yourself if you think your snoring is negatively impacting on your physical, mental or social wellbeing, or if you are having very poor sleep. Whilst loud snoring is linked to an increased risk of obstructive sleep apnea, a high Snore Score doesn’t mean you definitely have the condition. Jenny hadn’t been sleeping in the same room as her husband for many years, so whilst she may not be feeling physical ill effects of poor sleep, the situation she found herself in as a result of snoring was still not good. I have great news. 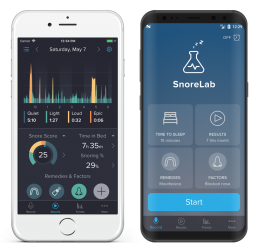 Despite suffering for years and trying sprays, nose plugs, mouth guards and finally banishment to the spare room – after more than five years I have had two completely snore-free nights thanks to SnoreLab! So happy! I was in hospital on Christmas day with anaphylactic shock, I then had two bad asthma attacks this month. I mentioned to my doctor that I am worried that my snoring is causing an issue. She said she may put me in sleep clinic but it could take a while even if I get accepted. So I searched the internet and found SnoreLab. I downloaded the app and for the first week I recorded my snoring and scored 199 with 70% of my snoring at the epic level. I cried! I joined the Facebook page for advice and read some articles. Having had problems with asthma for many years, I thought that maybe allergies were causing my problem. So this weekend, my husband helped me to clear my bedroom and throw away my ancient bed I have had for twenty years along with all bedding and feather pillows and toppers. We cleaned, vacuumed and aired the room. I also bought an electric bed so I could raise my head. I bought hypoallergenic pillows, covers, and bedding, we installed a steam vaporizer, and rock salt lamp. I took an allergy tablet at night and made sure I had my asthma preventer each night before bed. I had some allergy medication from the doctor, settled down and WOW! I didn’t snore! I went from a score of 199 and lots of epic snoring to 0 in just two days! I can’t believe it. If this continues we are going to buy a double electric bed so I can return to main bedroom. The steamer and hypoallergenic bedding will move in too. I can’t believe I have suffered this long without attributing my snoring to my allergies. Thank you for a great app and advice. P.S. I woke up today feeling refreshed for the first time in years. Allergies can easily bring on snoring by causing inflammation in your airways and blocking your nose. 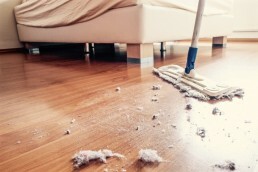 If you think allergies are making you snore, have a look at our guides to preventing snoring caused by dust allergies and hay fever. All of our stories are genuine accounts from SnoreLab users. If you’d care to share your experience about using SnoreLab, we’d love to hear from you. Please contact us on support@snorelab.com or get in touch via Facebook or Twitter. Snoring has a lot more terminology than you might think. Cut through the jargon with SnoreLab's glossary of snoring terms.